Many of the children in Rigby House witnessed the big hail storm last week, and they have been talking about it ever since. 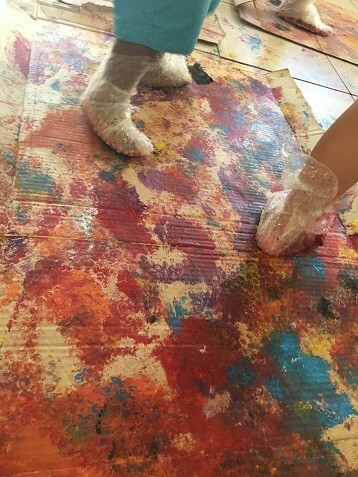 The storm was scary for some of the children, so the educators have been talking with the children about the thunder and rain, and how loud a storm can be. 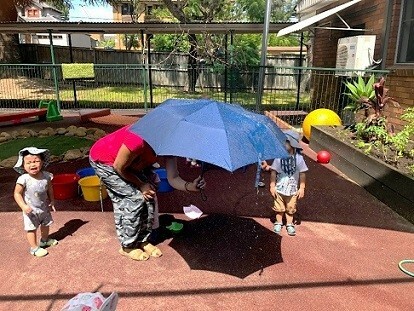 As we have been preparing for some water play and to water our garden on the hot days we have been having, the educators have taken the opportunity to enhance the children’s understanding of rain and storms. They have been giving the children umbrellas and then walking with them through the spray water. The children and educators listen to the water hitting the umbrellas, and talk about the sound of the ‘rain’. 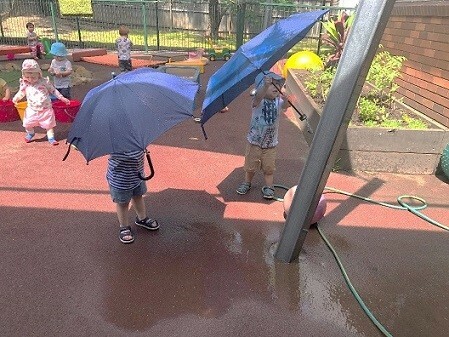 The children enjoy using the umbrellas and have been waiting for their turn to walk in the rain, and has been much laughter and enjoyment as they get wet! 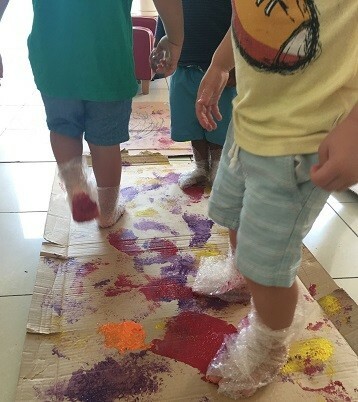 The children love to see the educators join them in this play, and were thrilled to see the rainbow that was created by the sun streaming through the water spray. 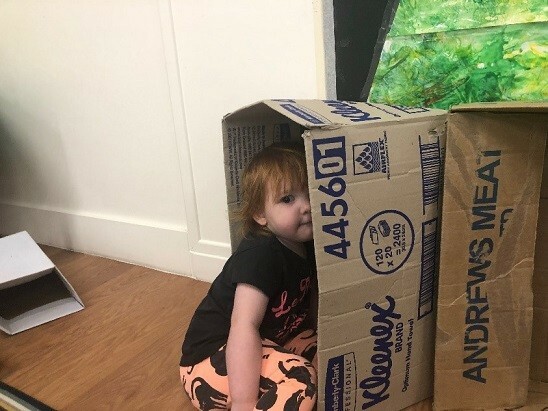 Recently at Jessie’s Family Day Care Sydney Wide, Jessie created a simple maths learning experience which enabled the children to explore numeracy through play. 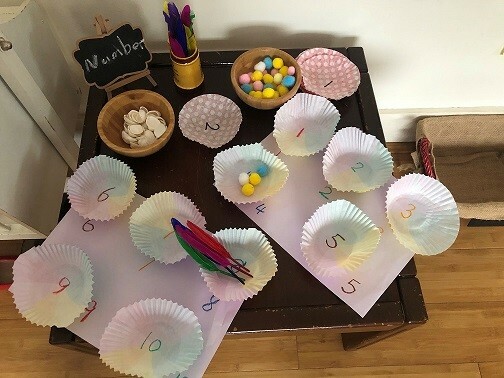 The children had the opportunity to explore counting, number recognition and addition using recycled and everyday household items.